MacBook Pro Touch Bar Integration with Microsoft Office. Apple's 2016 MacBook Pro includes a Touch Bar that could affect how you get work done. In fact, these feature advances are so impressive, event Windows users will want to take a look. What is Apple's Touch Bar and Why Should You Care? The Touch Bar is a contextual favorites or shortcut touchscreen at the top of the MacBook Pro's keyboard (think: trackpad on steroids). 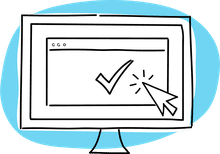 This allows software developers to provide real-time, relevant tool shortcuts based on what a user is likely to need, meaning it changes as your task changes. This Retina Multi-Touch display is located above the keyboard keys, near where the display screen meets the keyboard. 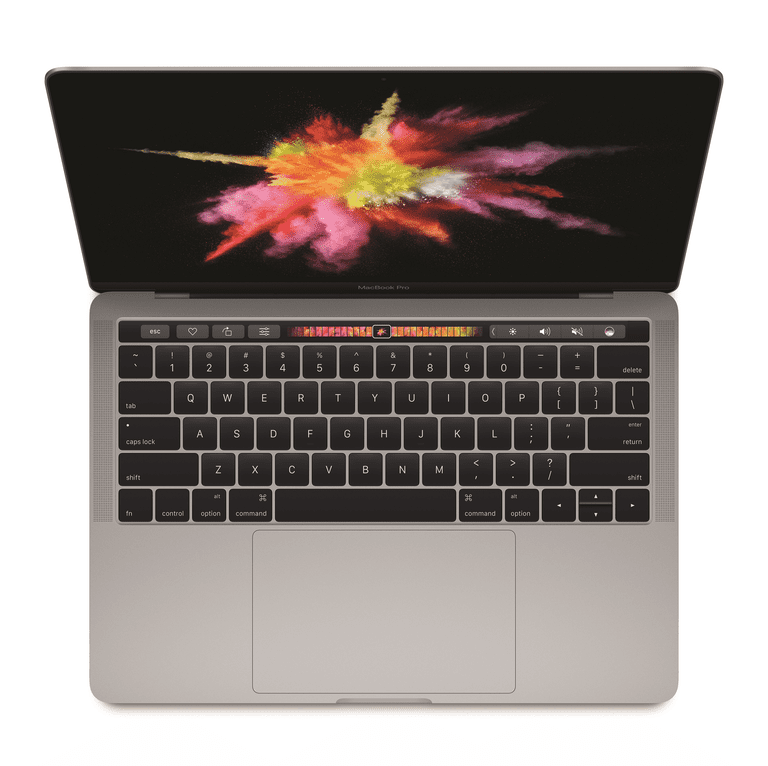 "The Touch Bar places controls right at the user’s fingertips and adapts when using the system or apps like Mail, Finder®, Calendar, Numbers®, GarageBand®, Final Cut Pro® X and many more, including third-party apps. For example, the Touch Bar can show Tabs and Favorites in Safari®, enable easy access to emoji in Messages, provide a simple way to edit images or scrub through videos in Photos and so much more." This Touch Bar could revolutionize how you get work done; and while this article focuses on the implications for Office users, Apple's own iWork suite of productivity programs like Pages, Numbers, Keynote, and other utilities obviously have exciting Touch Bar integrations as well—potentially even more so. Interestingly, a deeper dive reveals that this Touch Bar is basically an Apple Watch—just a little tidbit for you to nerd out over: Apple's MacBook Touch is Actually a Mini Apple Watch! Users can also customize the Touch Bar, meaning you aren't necessarily locked in with the contextual commands developers add in as defaults. Access a screen that allows you to drag your preferred shortcuts to the bar, in a similar way to other favorites and toolbars you have customized in the past. All Productivity and No Play? Interestingly, Apple's development guidelines actually restrict any funny business when it comes to this display. Check out this article for more detail: Apple Says No Fun Allowed on the Touch Bar. In summary, Apple is insisting that developers use the Touch Bar as an extension of the keyboard and trackpad (not a display), avoid message or alert functionalities that reduce productivity, minimize bright color; and more. This all assumes that business isn't fun, but if you are reading this article, you are probably a productivity nerd who thinks work is fun! As mentioned, Apple's Touch Bar can integrate with third-party solutions, including productivity tools you may already use, including Microsoft Office for Mac programs like Word, Excel, PowerPoint, and more. At the time of this writing, Microsoft has not released a date for when users can expect these Microsoft Office integrations, but Microsoft has blogged about this integration and it is in the developer's best interest to release that as close to the laptop's release as possible. As for Apple, at a late October event, the company demonstrated the MacBook Pro Touch Bar and shared pictures of Microsoft Office, indicating that the office software suite will integrate with the Touch Bar. This technology will develop and expand, but at the outset, here's how integration with Microsoft Office looks in each application. Microsoft Outlook: The Touch Bar creates a fast-track to your most recent documents (making it a breeze to attach them to that email you are ready to send) or calendar appointments from email. It features your latest tools and commands, as well as your upcoming events. Skype: The Touch Bar also features Outlook's Today view on the Touch Bar, from which you can participate in Skype for Business meetings. Microsoft Excel: You will also be able to access your most recent spreadsheet actions. By entering an equal sign in a cell, the Touch Bar activates with these contextual tools. The Touch Bar also helps you format data or apply recommended charts. Microsoft Word: Following this same theme, when working in your word processed documents, you can opt for a distraction-free mode that removes toolbars and the ribbon, but you can still access recent tools and commands through the Touch Bar's contextual shortcuts. This Focus Mode works alongside real-time shortcuts for applying a style change to text you are working with, for example. Microsoft PowerPoint: In your presentations, the Touch Bar shortcuts offer quick tools for editing objects you are working with at a given time, which is a big help when working with image-rich files. The Touch Bar features slide gestures for reorienting an object to a better angle as well as a Reorder Objects button for working with graphic layers on a slide, making it easier to move things around, which any PowerPoint power user knows is a big help! produces a graphical map of all the layers on a slide, making it easy to find the right object and move it where you want it. As this Touch Bar integration with Office continues to unfold, it will be exciting to see how it affects other technologies, across other platforms. In the meantime, Office for Mac users may just have the coolest productivity tools in town when it comes to office software.